t*rexes and tiaras: and when people tell us we need to straighten out..
and when people tell us we need to straighten out.. I can hardly believe it's the start of another week already. Time really needs to slow down a bit, please. I've spent my weekend away at a training event for Girlguiding leaders from my county, at Broneirion. It's been a nice opportunity to meet with some of the people I don't get to see that often (despite them being local) and to take back some new ideas for both of my units. As with all of these types of events, we did lots of craft activities, so I've taken away a lot of Christmas craft ideas, as well as deciding I'd quite like one of these to use with the Guides. Anyway, another week, another work outfit. 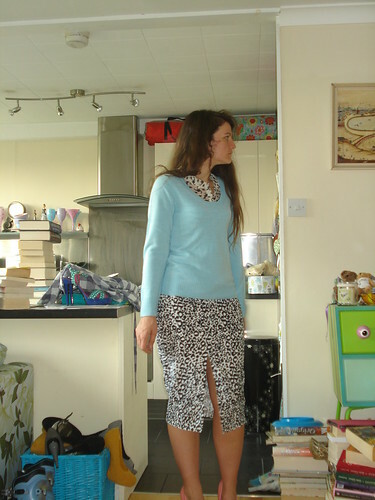 I have to admit, this worked differently in my head, and I didn't actually end up wearing it as I'd not realised until I wore it for these photos that this skirt has such a slit in it. I wasn't confident enough for that so changed skirts and this one made it into the blog sale instead. The jumper is one of my new season staples, from Matalan's statements collection, which I posted about here. I may have bought this jumper in just about every colour and I'm quite enjoying teaming them with just about every outfit. 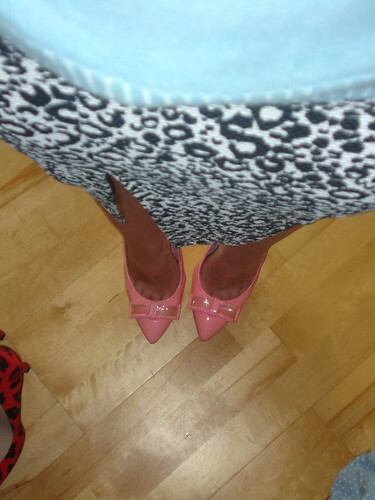 I quite liked the contrast between the pale blue and these bright pink shoes, but I'm sure I'll think of some other combination soon. 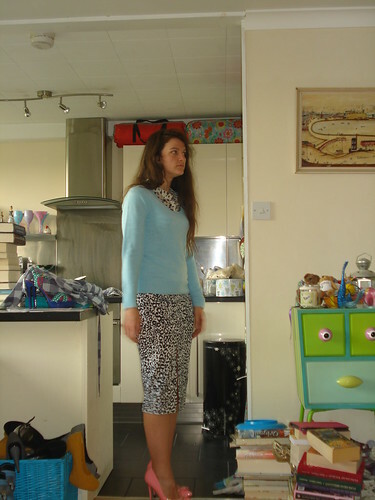 I love your jumper, I think I need to get to Matalan asap! 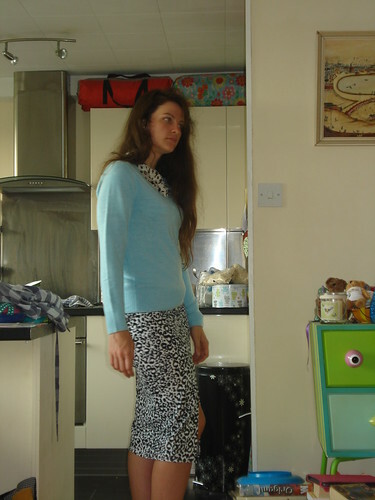 You do look lovely here but that IS a high slit in that skirt!